"Wi-Fi 6/IEEE 802.11ax - What the future holds"
The IEEE, promulgators of Wi-Fi standards, are releasing a new version of the standard, and the manufacturers of computer equipment have decided to make our lives simpler by creating a new, overlapping naming scheme for Wi-Fi products. What does this all mean to people who, knowingly or unknowingly are using Wi-FI. IEEE 802.11ax, marketed as Wi-Fi 6 by Wi-Fi Alliance, is one of the two wireless specifications standards, of IEEE 802.11, both expecting full deployment late 2019; the other is ay. They can be thought of as High Efficiency Wireless. The initial release of a standard for wireless communication was in 1997. 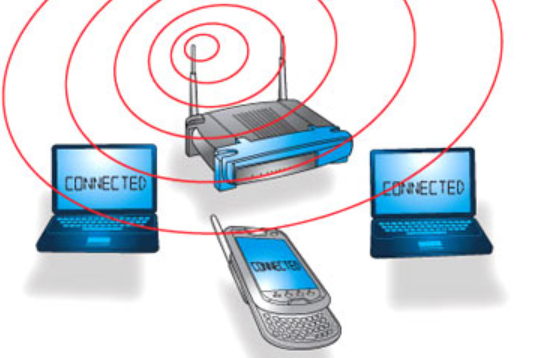 It is a specification for Media Access Control (MAC) and Physical (PHY) protocols implementing wireless local area network (WLAN) Wi-Fi computer communication in various frequencies. The subsequent updates to the specification were predominantly focused in increasing the speed of transmission. This new 802.11ax specification not only increased the transmission speed, but the efficiency of transmission. This is targeted at making better use of the available WLAN as more and more devices are added. As more of us use laptop computers, wireless printers, smartphones, smart speakers (such as Amazon Echo, Google Home, etc. ), smart home devices (the Internet of Things [IoT]) and smart TVs, older versions of 802.11 cannot handle the traffic. What is coming to allow us to make use of these wireless devices based on the 802.11 protocol? Let’s take a look at the near future and how it might affect us. John Stampfel is president of the Brookdale Computer Users Group (BCUG) since 2014. He has a PhD in Physics from Carnegie Mellon University. He was involved in software systems architecture, design, development and testing at Bell Laboratories and at Comcast research and development laboratories. He is not an expert in wireless technology, but has long experience with computer systems, personal and commercial. This presentation will collect information from other sources and allow for questions and discussion.